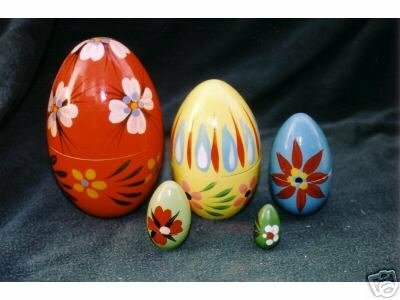 This is a beautifully decorated set of Poland nesting eggs (not new). The largest egg is 4 1/2" tall, and has a Made in Poland label underneath. A lovely piece of folk art.